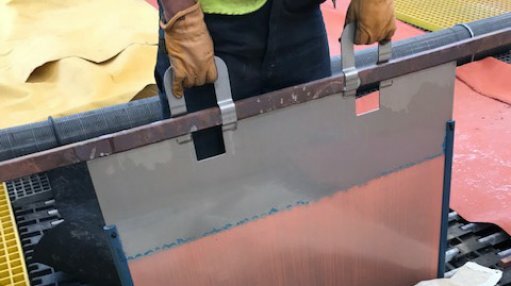 The production test facility at base metals miner Taseko Mines’ Florence copper project, in central Arizona, is fully operational and is producing copper, the Vancouver-headquartered company announced on Friday. It reported that, over a three-month period, about 1.5-million tons of copper ore had been contacted underground with leach solution and that concentrations in the solution had now risen to levels that had allowed the solvent extraction and electrowinning (SX/EW) plant to begin operations. “The scale up from our laboratory and feasibility testing to the commercial scale has been relatively seamless. With the entire test wellfield and SX/EW plant now operating as a continuous unit, we will use the coming months to refine operational parameters, which will help with the ramp-up of the commercial plant,” said president and CEO Russell Hallbauer. He added that the proportion of ore contacted underground with leach solution, known as sweep efficiency, had been very encouraging to-date. “Our modelling predicted a 55% sweep efficiency after the first year of leaching and we have already achieved that level after the first three months." Hallbauer continued that Taseko hoped to have a financing package in place and to be starting construction of the commercial facility in the next 12 months. Florence will produce an average of 85-million pounds a year of copper for 20 years at an average operating cost of $1.10/lb.